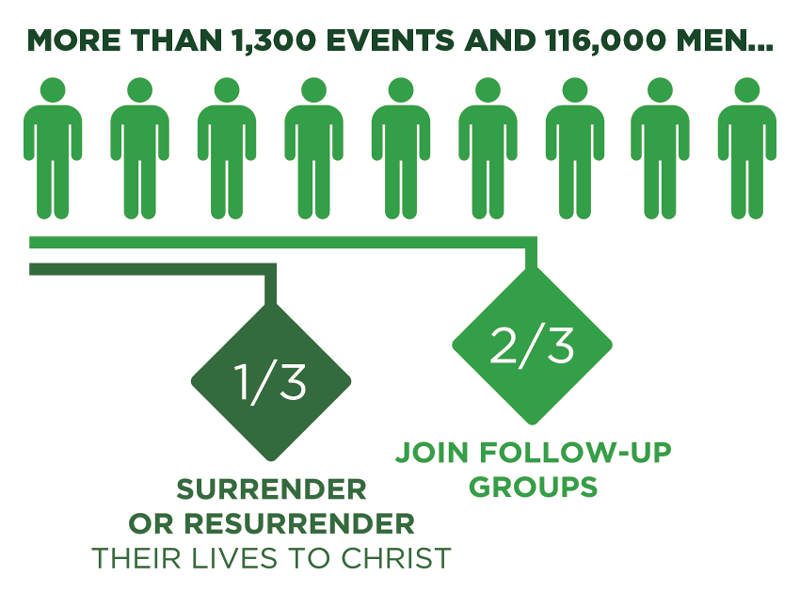 Reach and disciple your church’s men through an interactive men’s event and follow-up small groups. We provide a detailed planning manual with timelines to help you be successful, as well as full-color posters, bulletin inserts, and promotional cards to give your men. Your leaders receive training through the No Man Left Behind books we provide so that you can make your event part of a larger, cohesive men’s discipleship strategy. Each of our events includes a clear presentation of the gospel so that men have an opportunity to surrender their lives to Jesus Christ for the first time or again. We always want to offer men their right next step, and we’ll show you how to get men to commit to a follow-up small group BEFORE they leave the event. We provide the process and the curriculum.